American singer-songwriter, author, musician, poet, and, of late, disc jockey Bob Dylan is without a doubt the most influential and covered solo musician in pop music history. It should be to no one's surprise that his face graces the home page of the TWOS website. No other artist except The Beatles (who were also influenced by Dylan) has made more impact on the direction and evolution of pop music. Dylan has been composing and performing songs for five decades and continues to release both commercially successful and critically acclaimed material, most recently his 2006, #1 charting LP 'Modern Times'. Dylan was born Robert Allen Zimmerman in Duluth, MN on May 24, 1941 and spent much of his childhood listening to the radio; first to the blues and country and, later to early rock and roll. He formed several rock bands in high school and in 1959 enrolled at the University of Minnesota in Minneapolis where he was turned on to folk music, which quickly became his primary interest. After only one year of college, he dropped out but stayed in the Twin Cities, honing his simultaneous guitar and harmonica playing on the folk circuit, with temporary journeys to Denver, CO; Madison, WI and Chicago, IL. In January 1961, he moved to New York City to play there and visit his ailing idol Woody Guthrie, who was then dying in a New Jersey hospital. Throughout 1961, he tirelessly performed at various clubs around Greenwich Village and in the summer of 1962 changed his name to Bob Dylan (after poet Dylan Thomas). In the fall of 1962, Dylan signed to Columbia Records and released his debut, self-titled LP late that year, which includes a mixture of original folk material and covers. The record initially sold only 5,000 copies upon its issue, which almost got him dropped from his label if it hadn't have been for his producer, John Hammond, and fellow Columbia artist Johnny Cash, who both came to his strong defense. His second LP, 'The Freewheelin' Bob Dylan', which peaked at #20 in the U.S. and hit #1 in Britain, was issued in the spring of 1963 and contains all original folk songs including the landmark 'Blowin' In The Wind'. This song impressed a slew of artists at the time, including Peter, Paul & Mary, who covered and had a #2 hit with it in the summer of 1963. It also had a huge impact on the civil rights movement of the 1960s, and has been described as its "anthem". Soon after the release of "Freewheelin'", Dylan emerged as a dominant figure of the so-called "new folk movement" centered in Greenwich Village. Dylan's singing voice was untrained and had an unusual edge to it, yet it was suited to the interpretation of traditional songs. Many of his most famous earlier songs first reached the public through other performers' versions that were more vocally and musically palatable, including the then extremely popular Joan Baez who became Dylan's advocate, as well as his lover. 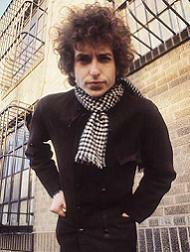 Baez was influential in bringing Dylan to national and international prominence, jumpstarting his career by inviting him onstage during her own concerts, and recording several of his early songs. By mid 1963, Dylan and Baez were both prominent in the civil rights movement, singing together at rallies including the March on Washington where Martin Luther King, Jr. gave his "I have a dream" speech. In early 1964, Dylan released his third LP, 'The Times They Are A-Changin'', which includes the album's title anthem, as well as 'One Too Many Mornings', which was later covered very well by the Association. This album hit #22 in the U.S., but again did better in the U.K., peaking at #4. The record reflected a more sophisticated, politicized and cynical Dylan, addressing such subjects as the murder of civil rights worker Medgar Evers. His next LP, 'Another Side Of Bob Dylan' was recorded on a single June evening in 1964 and had a lighter mood than its predecessor. The album includes 'All I Really Want To Do', 'Chimes Of Freedom' and 'My Back Pages', which were all later successfully covered by the Byrds. It also included the song 'It Ain't Me Babe', which became a hit for both Johnny Cash and the Turtles in 1965. During 1964 and 1965, Dylan's appearance as well as his music began to evolve rapidly as he made his move from folk singer to Rock & Roll star. His scruffy jeans and work shirts were replaced by a Carnaby Street wardrobe prompting a London reporter to write, "Hair that would set the teeth of a comb on edge. A loud shirt that would dim the neon lights of Leicester Square. He looks like an undernourished cockatoo." His March 1965 LP, 'Bringing It All Back Home' was yet another stylistic leap. 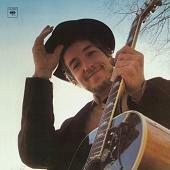 The album featured his first recordings made with electric instruments, including the outstanding 'Subterranean Homesick Blues', which was also made into an early music video featuring Dylan standing in a dank alley quickly flipping queue cards painted with the song's lyrics. The record also includes the acoustic and haunting 'It's Alright, Ma (I'm Only Bleeding)', 'Mr. Tambourine Man' (turned into a #1 hit by the Byrds), and 'It's All Over Now, Baby Blue', which was later covered quite well by the 13th Floor Elevators. In the summer of 1965, Dylan made history by performing his first electric live set (since his high school days) with a pickup group drawn mostly from the Butterfield Blues Band, featuring Mike Bloomfield (guitar), Sam Lay (drums), Jerome Arnold (bass), plus Al Kooper (organ) and Barry Goldberg (piano), while headlining at the Newport Folk Festival. During this now infamous set, Dylan was met with a mix of mostly booing (from close minded folk purists) but some cheering too, prompting him to exit the stage after only three songs. In the late summer of 1965, Dylan issued the pivotal LP 'Highway 61 Revisited', which was the first he recorded entirely with a full rock band, including Bloomfield, Kooper, Lay and Harvey Brooks (bass). This album contains the classic 'Like A Rolling Stone' and also 'It Takes A Lot To Laugh, It Takes A Train To Cry', which was later masterfully covered by Bloomfield, Kooper & Stills. 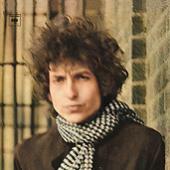 The record was the best selling for Dylan to date, peaking at #3 in the U.S. and #4 in Britain. It was at this time too that Dylan began constructing a more permanent backup band with members Robbie Robertson, Rick Danko, Garth Hudson, Richard Manual, and briefly Levon Helm, who would later go off on their own and reach huge success as the Band. The spring of 1966 saw yet another huge release for Dylan in the double-LP 'Blonde On Blonde', which includes the loony 'Rainy Day Women #12 & 35', the classic ballad 'Just Like A Woman' and the upbeat and catchy 'Most Likely You Go Your Way (And I'll Go Mine)'. Also at this time, Dylan undertook a world tour of Australia and Europe with each show being split into two parts: an acoustic solo set during the first half, and an electric set backed by his rock band for the second half. This contrast provoked many fans, who reportedly jeered and slowly handclapped during performances. By this time, Dylan had become a household name around the world and the pressure of being a superstar at age 25 started to weigh heavily. It all came literally crashing around him in the summer of 1966 when he reportedly had a bad motorcycle accident. Though the extent of his injuries was never fully disclosed, Dylan said that he broke several vertebrae in his neck. A sense of mystery still surrounds the circumstances of the accident and the seriousness of Dylan's injuries due to the fact that no ambulance was called to the scene and he was never taken to a hospital. Many conclude that the crash offered Dylan the much needed chance to escape from the pressures that had built up around him, which resulted in a period of public withdrawal lasting for 18 months. In 1967, although still out of the public eye, Dylan began to swing into the groove again, holding laid back jam sessions in his Woodstock, NY home as well as at his backup band's nearby abode nicknamed "Big Pink". Many songs surfaced from this creative time, including 'The Mighty Quinn (Quinn The Eskimo)' (later made into a huge hit by Manfred Mann) and a slew of other tunes, some co-written by Dylan, that would end up becoming the Band's classic debut LP, 'Music From Big Pink'. 1967 also saw Dylan return to acoustic music and more traditional roots with the release of the LP 'John Wesley Harding', which hit #2 in the U.S. and #1 in the U.K. and includes 'All Along The Watchtower' (later covered masterfully by the Jimi Hendrix Experience). In February 1969, over a year after the release of his last album, Dylan traveled to Nashville to begin work on his next LP, 'Nashville Skyline'. 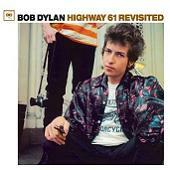 The record includes the excellent 'Lay Lady Lay', which was actually one of the few songs Dylan penned in 1968. Dylan next traveled to England to top the bill at the Isle of Wight rock festival on August 31, 1969, after rejecting offers to appear at the Woodstock Festival far closer to his home. In the early 70s, Dylan released several LPs of varying musical styles that received mixed reviews by critics, but nonetheless sold very well overall. He also continued to generally shy away from public appearances and touring, save the highly praised set he played at George Harrison's Concert for Bangladesh in 1971. 1973 saw Dylan sign to the then fledgling Asylum label and reunite with the Band to record the LP 'Planet Waves' and tour with them the following year. The album became Dylan's first to hit #1 in the U.S. and the feverishly anticipated follow up tour broke concert attendance records around the world and produced the classic live LP 'Before The Flood', which hit #3 in the U.S.
1975 saw Dylan return to Columbia after only two years with Asylum and issue the #1 selling LP 'Blood On The Tracks', which contains the classic song 'Tangled Up In Blue'. In 1976, Dylan released a third consecutive #1 LP of new material titled 'Desire', which includes his first successful "protest" song written in twelve years, championing the cause of African American boxer Rubin "Hurricane" Carter whom he believed had been wrongfully imprisoned for a triple murder in Paterson, NJ. The album's follow up "Rolling Thunder Review" tour saw Dylan paint his face a ghostly white with black circles around his eyes, some say symbolizing white prejudice and the wrongful conviction of the black boxer Carter. Later that year he also made an appearance at the Band's acclaimed farewell concert, 'The Last Waltz'. In the late 70s, Dylan, then close to being age 40, became a re-born Christian, prompting the release of two consecutive Gospel Rock LPs, 1979's 'Slow Train Coming' and 1980's 'Saved'. The 1980s saw a slow return to secular songs and LPs that received mixed reviews from critics and slower sales in the U.S. In the late 80s, Dylan collaborated with the Grateful Dead on a tour and release of a well selling live LP titled 'Dylan & The Dead'. The 1990s produced more of the same mixed output until the 1997 release of his 30th studio LP titled 'Time Out Of Mind'. For many critics and fans, this album marked Dylan's artistic comeback from his musical struggles in the 80s and 90s, which hadn't seen him release any original material since his 1993 LP 'World Gone Wrong'. The 2000s has seen only two studio LPs, including the most recent top selling 'Modern Times', but if there's anyone who can justify retirement, it's definitely Dylan. Throughout his incredible career, Dylan has been recognized and honored countless times for his songwriting, performing, and recording. His songs have earned Grammy, Golden Globe, and Academy Awards, and he has been inducted into the Rock & Roll Hall of Fame, Nashville Songwriters Hall of Fame and the Songwriters Hall of Fame. In 1999, Dylan was included in TIME Magazine's 100 most influential people of the 20th century, and in 2004, he was ranked #2 in Rolling Stone magazine's list of "Greatest Artists of All Time", second only to The Beatles.